While most retirees say they plan on living out their years at home, a large percentage end up in assisted living or nursing homes. How much can you expect to pay for long-term care? A look at average costs and stays can provide a rough idea. A lot of financial advisors warn that retirees aren’t financially prepared for a long future existing only on Social Security, that they haven’t saved enough, that medical costs will eat more out of their budget than they think and that they aren’t prepared for long-term care. Although most retirees say they plan to live out their remaining years at home, a large percentage end up in assisted living or nursing homes. 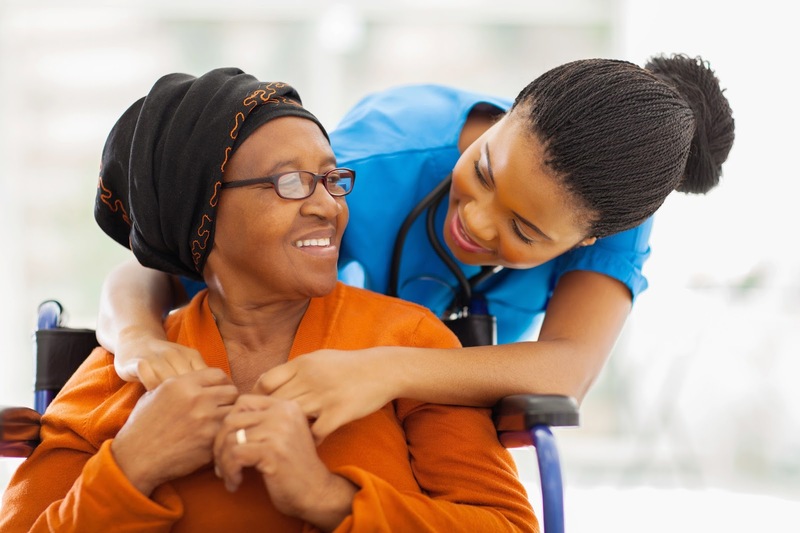 In fact, according to the Centers for Medicare and Medicaid Services, a majority of people over age 65 will require some type of long-term-care services, and more than 40 percent will need a period of care in a nursing home. The national average daily rate for a private room in a nursing home is $248, while a semiprivate room is $222, up from $239 and $214, respectively, in 2011. That’s about $81,000 annually for a semiprivate room. The national average monthly base rate in an assisted-living community rose from $3,477 in 2011 to $3,550 in 2012. That would equal $42,600 a year. The national average daily rate for adult day services remained unchanged from 2011 at $70. However, costs can vary widely depending on the state and region of the country where you live (see sidebar, “Differences among States”). It’s also important to remember that different states require—and different facilities offer— varying baselines of level of care, so one place might offer nothing more than three meals a day plus activities, while another facility includes providing medicines, for example, in its base rate. This is especially important regarding assisted-living, which is not federally regulated. Average costs for long-term care vary widely by state and region of the country and by private versus semiprivate room. The MetLife Mature Market Institute’s market survey found the daily price of a semiprivate room could range from a low of $138 in Louisiana to a high of $678 in Alaska. In this sampling of state prices from around the country, it is important to remember that cities generally are more expensive than rural areas. While Illinois’ rate is low, for example, the Chicago area’s rate is much higher. Other organizations break down the long-term care figures differently (Alzheimer’s care, continuum of care). The National Clearinghouse for Long-Term Care Information makes it simpler. On average, a 65-year-old today will need some form of long-term-care services for three years, according to Kiplinger.com. If the average stay is three years for long-term care, your long-term care costs would be some combination of those two figures. Of course, if you need more assisted-living care than basic care, the cost goes up. If you’re a woman, you will probably pay more because you will live longer. Another factor to throw into the mix is the average age of residents in long-term care. The median age of residents in nursing homes was 82.6 years; in assisted living, 86.4 years, according to MetLife. If you’re wondering if you will live that long, the Social Security Administration provides calculations. For example, a man reaching age 65 today can expect to live, on average, until age 84.3, while a woman turning 65 today can expect to live, on average, until age 86.6. A recent Wall Street Journal article (“10 Things Retirees Won’t Tell You,” Sept. 21, 2014) said that nearly 60 percent of people over 55 who haven’t yet retired have saved less than $100,000 for retirement. So where will an individual find the approximately $200,000 needed for long-term care? A senior is currently receiving Medicare Part A (Hospital insurance) benefits and is therefore 65 years or older or has been formally diagnosed with renal failure. An in-patient hospital stay of three or more consecutive days (three midnights) has been made within the past 30 days. A physician has determined that skilled care and/or rehabilitation is medically necessary due to a current health condition. The skilled services required are provided in a facility that has been certified by Medicare. Specifically, Medicare will provide 100 percent coverage for skilled nursing costs for the first 20 days of a nursing home stay. From day 21 through day 100 of the benefit period, the patient is responsible for paying approximately $130 per day. At any time, if the patient is no longer making progress, Medicare will stop paying, because this is considered a rehabilitation, not long-term care benefit. Medicare also pays for care at home, involving skilled nursing care and therapy, although certain restrictions apply. Even paying for home care yourself is less expensive than nursing homes and assisted living. Another option is long-term care insurance, which pays for assisted living, nursing homes and at-home care. However, only 10 percent of the elderly have a private long-term care insurance plan (National Bureau of Economic Research). Other sources for long-term care financial help are Medigap (supplemental policies for Medicare) policies and/or veteran’s benefits, but these policies only pay 20 percent of the charges that Medicare does not pay. If people in need of long-term care don’t have the financial resources and/or don’t have a long-term care insurance plan, who will take care of them? It turns out that most (78 percent) who need some kind of care are being taken care of by family and friends. For many older people, one strategy for long-term care might be to start investing in relationships with family and friends. Figuring Out Long Term Care Costs was featured in the November 2014 Senior Spirit newsletter. Family dynamics are never easy, but they can be especially complicated when it comes to decisions that surround the process of aging. 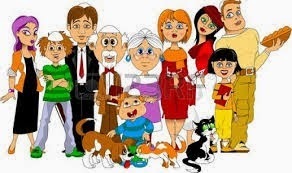 In a perfect world, the family unit works together to provide their senior the best options and loving outcomes. Remember, I said "in a perfect world." Unfortunately, this isn't always the case. Families with a senior struggle because of differing opinions on care, location, money, property, time constraints and more. Even the strongest family groups can be torn apart during this stressful time. While doing research on the issue of conflict resolution, I came across leadership expert Michael Hyatt and his thoughts on conflict resolution in the workplace. No, we're not dealing with bosses, and employees; however, these same basic steps with a little tweaking can be very useful when working through issues within the family. Communication is critical when seeking the best possible outcome, so before the threads of the family unravel, consider steps 1 and 2, then open the dialogue with steps 3-6. 1. Give the other person the benefit of the doubt. Maybe they don't know all the facts involved in caring for your loved one or are unaware of the total amount of time you spend in care activities. Are you making assumptions regarding their willingness to help? Stop - and keep an open mind and open heart. 2. Always speak directly to the person with whom you are having an issue. How many times do we complain about someone's behavior but yet don't let them know our concerns?That hardly seems fair. If you are upset with a family member, caregiver, or friend, talk specifically to them. Don't share your feelings with others who can have no impact on the situation. 3. Affirm the relationship. Let this person know that you love and value them, and are opening up because you care about your relationship. Let them know that you need to share something that is bothering you so that you can resolve it together. Confirm the fact that you have a common interest in what is best for your senior loved one. 4. Outline the issue objectively. This is often hard to do since these topics are emotionally charged but try to isolate exactly what is causing you pain. For example, simply saying you feel "taken advantage of" is not specific enough. Isolate what the circumstances are that cause you to feel this way. "I am currently taking Mom to all of her doctor appointments." "I am responsible for handling the expenses for Dad's care and he doesn't have the funds to cover it." Write down your pain points so you don't get off track. 5. Be clear about what it will take to fix the problem. It is important to communicate and then listen. Be clear about what meaningful measurable steps can be taken to move forward. "I need your help in taking Mom to her appointments. If you can take her to run errands, I can take her to doctor appointments, but I can't continue to do both." You also need to listen to understand the dynamic of how together you can reach positive resolution. 6. Discuss the outcome - positive and negative - and the consequences. The outcome you hoped for could be as simple as being upfront and open. Congratulations! However, should you find that you can not resolve the problem at least you will know where you stand and can make decisions accordingly. Opening the lines of communication with your family member or caregiver helps to make things transparent. If the resolution is not what you had in mind, then this is the time to indicate what the consequences will be. "If you can't find a way to help me with Dad's care, then I fear that the family and our relationship will suffer irreparable damage." "You've stated that you can't help take some of the responsibilities for Mom's care. That will mean we will have to hire some help. I will need you to assist in covering the cost and interview caregivers." There is no guarantee that open communication will solve all the concerns of caring for seniors that we love, however, it is the best tool in our toolbelt. If you are still struggling to work together, don't just throw in the towel. Patience, time, and prayer are powerful healers. extensive training in the areas of Assisted Living Care, Dementia Care and In Home Care having worked with the finest providers in the industry - Five Star Senior Care and Seniors Helping Seniors. Currently Cyndi is a Certified Senior Advisor* with Seniors Helping Seniors –a service providing care FOR SENIORS BY SENIORS – so that families can stay in their homes and age in place. Cyndi is also a trained speaker for the Alzheimer’s Association – and a trained Support Group Facilitator for the Alzheimer’s Association. Although this ancient Chinese martial art is now used as a form of exercise, you can think of tai chi as a way to fight back against the effects of aging: losing flexibility, balance and muscle strength. With minimal stress on the body, it’s especially good for older adults. In fact, tai chi (pronounced “tie chee”) may be a better exercise option for older adults than strength training, even though such exercises combat the wasting effects of aging. That's because strength training tends to stiffen arteries. A recent study in Europe compared the health of older adults who practiced tai chi and those who did not practice. Though the study did not directly test tai chi, it did find that tai chi practitioners’ large and small vessels were more flexible (“Why Tai Chi Makes Sense for the Elderly,” June 2012, Atlantic Monthly). And the more flexible the arteries the better one's overall cardiovascular health generally is. Poor arterial flexibility is an independent risk factor for cardiovascular disorders— diseases affecting the heart and blood vessels. Both yoga and tai chi are said to have meditative benefits. But unlike yoga, another Eastern form of exercise in which you hold a pose, tai chi involves a series of slow, continuous and meditative body movements that incorporate a series of motions named for animal actions—for example, "white crane spreads its wings" — or martial arts moves, such as "box both ears." As you move, you breathe deeply and naturally, focusing your attention—as in some forms of meditation—on your bodily sensations. Often described as "meditation in motion," tai chi, like yoga, demands concentration, so breathing and movement are coordinated. Many tai chi proponents say this promotes calm feelings and thus a reduction in stress. Others say tai chi interweaves the mind and body into one. In China, it is believed that tai chi can delay aging and prolong life, increase flexibility, strengthen muscles and tendons, and aid in the treatment of heart disease, high blood pressure, arthritis, digestive disorders, skin diseases, depression, cancer and other illnesses. Unfortunately, there hasn't been a significant amount of scientific evidence to support all of these claims but several small studies show a positive connection between tai chi and many chronic diseases. Most of the studies offer tai chi as an intervention for a short duration, and long-term results or benefits of tai chi may vary by individual over time. Balance and flexibility. Most of the research on the impacts of tai chi on older adults has studied balance and fall prevention. This is especially pertinent to older adults because fall-related injuries (see Exercise Best Cure for Hip Fracture Recovery, July 2014, Senior Spirit) are the leading cause of death from injury and disabilities among older adults, as well as the leading cause of loss of independence and need for long-term care. Because tai chi often involves shifting weight from one leg to the other, it can increase both balance and leg strength in older adults. One researcher says that tai chi strengthens weak muscles in legs and improves the ability of ankles to flex on uneven surfaces, and repeated movements improve reaction time. Tai chai also counteracts the loss of balance as we get older, because it improves the sense of one’s physical position in space (known as proprioception). Heart disease. In a study at Harvard Medical School, 12 weeks of tai chi reduced blood levels of B-type natriuretic protein, an indicator of heart failure, and improved participants' ability to walk and quality of life. Another study suggests that tai chi may improve quality of life, mood and exercise confidence in people with chronic heart failure. Tai Chi Gentle but With Strong Physical Benefits was featured in the October 2014 Senior Spirit newsletter. Post-traumatic stress disorder is usually thought of as a condition related to the military. But research is finding that PTSD can be prevalent in older populations. Post-traumatic Stress Disorder (PTSD) has become something of a buzzword in recent years, given the ongoing conflict in the Middle East and the impact of this war on the younger generation. While the increased attention to PTSD in the media has been beneficial in bringing this important issue to light, it has also resulted in a somewhat narrowed view of PTSD as only affecting a specific part of the population—young adults who have been to war. This is unfortunate, because PTSD is a global disorder that occurs across the lifespan. It is currently estimated that 8 percent (roughly 25,112,000) of the U.S. population meets the criteria for PTSD (Center for the Treatment and Study of Anxiety n.d.). A wide range of traumatic incidents can lead to PTSD. Any event in which a person is exposed to "actual or threatened death, serious injury, or sexual violence” (APA 2013) can lead to PTSD. Examples include: combat exposure, sexual assault, car accidents, natural disasters, and mass shootings. This traumatic exposure is what is known as a Criterion A stressor, according to the diagnostic criteria for PTSD. Exposure to a Criterion A stressor does not guarantee the development of PTSD; development of PTSD comes when a Criterion A stressor sparks the onset of symptoms in four additional categories: intrusive symptoms (nightmares, memories, flashbacks), avoidance symptoms (isolation, withdrawal), cognitive symptoms (negative emotions, guilt), and arousal symptoms (being hypervigilant, easily startled, on edge) (APA 2013). The range of exposure to at least one traumatic event during their lifetimes is the highest in adults aged sixty-five and older, ranging from 70 percent to 90 percent (Creamer and Parslow 2008), making older adults one of the most vulnerable populations to the condition. PTSD is rarely a stand-alone diagnosis. It is most commonly diagnosed with “comorbid” conditions—those that are naturally related to the experience of PTSD, such as depression and substance abuse. Aging populations are uniquely vulnerable to PTSD for a broad range of reasons. The transition to older adulthood comes with a series of changes that can be significantly stressful. These include but are not limited to, reduction in income, changes in identity with retirement, decreased mobility and physical strength, widowhood, declining social support, and slowing or diminished cognition (Cook 2001; Kaiser et al. 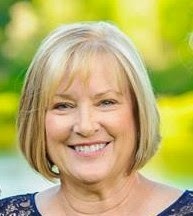 2014). Where many of these stressors do not constitute a Criterion A stressor and therefore are not PTSD-inducing, many will exacerbate pre-existing trauma and bring symptoms of PTSD to the forefront for the first time in an older adult’s life. 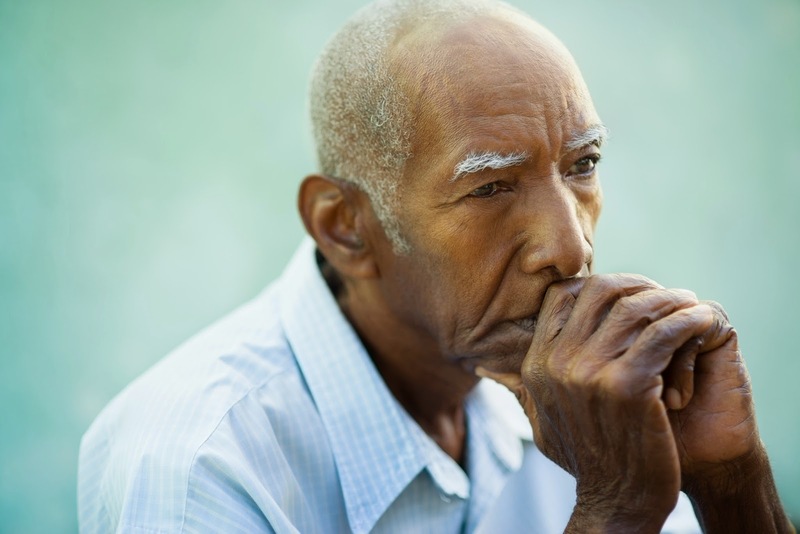 Older adults often have dormant traumatic symptoms that occasionally flare throughout their lifetimes, but usually did not overtly interfere with everyday life. The stressors inherent in the transition to older adulthood may serve as catalysts for the onset of PTSD in older adults. For those who have had PTSD for most of their lives, many are able to “manage” their symptoms independently without the assistance of medication or mental health providers through will power, avoidance (example: isolating themselves socially), or distraction (example: working excessive hours). When cognition slows, physical abilities weaken, distractions like work fade with retirement, and social support systems are lost or reduced, the symptoms of PTSD that older adults were once able to “manage” may become unmanageable. It is also important to note that many of our current older adult population experienced trauma prior to the advent of the diagnostic terminology for PTSD, developed in 1980. This has resulted in their PTSD going undetected or untreated for years due to lack of knowledge of the disorder at the time of trauma (Cook 2001). Much of the research done into PTSD in older adults demonstrates that the experience of trauma, as well as symptoms in response to this trauma, differ between younger and older adult populations (Kaiser et al. 2014). Symptoms tend to present in older adults as more physical in nature such as aches and pains, gastrointestinal problems, fatigue, and cognitive difficulties such as problems with focus, attention and memory (Hermann 2014). Older adults are more likely to describe their problems as related to stress or call them issues, rather than specific psychological or trauma-focused language, like saying, “I’m feeling anxious.” PTSD symptoms in older adults tend to be less persistent over time (Cook 2001)—they ebb and flow more. For example, having good and bad days, weeks, and months, rather than always feeling anxious. This is likely due to the impact of factors like the amount of time since the event, culture (example: believing hardship is inevitable and should be endured), and past traumatic experiences that may have served to offer perspective. Research has shown that as many as forty-five years post trauma, older adults meet diagnostic criteria for PTSD (Falk 1994). Studies done on aging populations often demonstrate a curvilinear relationship. That is, symptoms are highest after exposure, decline for years, then increase later in life (Port, Engdahl, and Frazier 2001). Older adults with PTSD may begin to show symptoms the first time in older adulthood or have a recurrence of symptoms from long-ago traumas as a result of the impact of recent stressors. Recognition of PTSD in older adults begins with knowledge of the prevalence of lifetime exposure to trauma in the older adult population, awareness of the variable nature of symptoms, and the potential for late-life onset due to the unique stressors inherent in the transition to older adulthood. As symptoms of PTSD and its related diagnoses (depression, substance abuse) manifest in older adults, it is important for family members and people in supportive roles (CSAs, doctors) to notice them and aid in organizing treatment and support. Treatments for PTSD come in the form of both medication and supportive therapies. Many of the drug trials that led to development of medications approved for PTSD did not include older adults, and therefore the medications can be unpredictable in older populations (Hermann 2014). Antidepressants known as selective serotonin reuptake inhibitors (SSRIs)—for example Zoloft, Paxil, Lexapro—have been shown to help with some of the symptoms of PTSD. However, evidence has consistently demonstrated that therapy is most effective in treating symptoms of PTSD (Hamblen 2010). There are multiple evidence-based treatments (EBTs) that include cognitive processing therapy (CPT) (Resick, Monson, and Chard 2008), and prolonged exposure therapy (PE) (Hamblen 2010). The two techniques have significant overlap, with CPT attempting to change the thoughts associated with the trauma, and PE attempting to change the emotions and physiological reactions to the trauma. Both have been shown to be effective in treating more immediate trauma in younger populations. However, older adults are less likely to approach their trauma from a psychological perspective (the way they think and feel) and are more likely to relate their symptoms to outside events and stressors (loss of income, loss of a spouse). (Hermann 2014). Older adults may also have cardiac or respiratory problems that make intense trauma-based treatments dangerous. Many older adults have lived with their trauma for years. Over time, they learned methods of coping, both healthy (relying on social support) and unhealthy (drinking alcohol), over the course of their lifetimes. Good treatment of PTSD will incorporate existing strengths and healthy methods of coping, and aid them in supplementing the more maladaptive methods of coping or methods they have lost (example: engaging in local community groups for social support following the loss of a spouse). Carilyn Ellis is a Fellow at the Boise VA Medical Center, specializing in oncology, palliative care, and primary care psychology. She completed her doctorate in clinical psychology at George Fox University in Newberg, OR. She loves serving those who serve our country, and especially loves working with Veterans. She can be reached at cellisalaska@yahoo.com. Lying in Wait: PTSD in the Older Population was recently published in the Summer 2014 edition of the CSA Journal.